I love trying new recipes and making healthier muffin options for my children to take to preschool and school. Most store bought baking is full of fat and sugar … and we wonder why obesity is on the rise in children. Please parents … please start baking at home with your children. Let us start making healthier food choices and cut down on the amount of processed and store bought treats we eat! 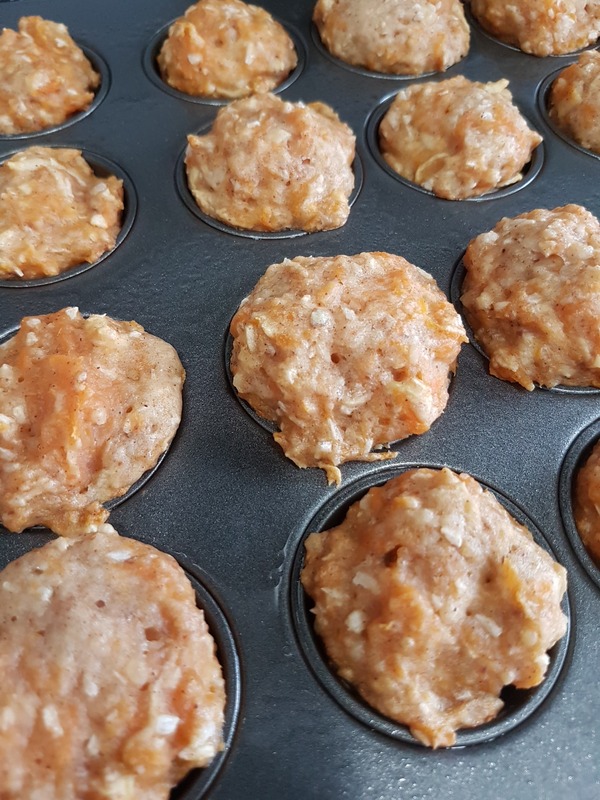 This apple and carrot muffin recipe is super easy and is kid approved! Add the grated carrots (I steam the carrots so they are softer in the recipe and it helps with making the muffins more moist.